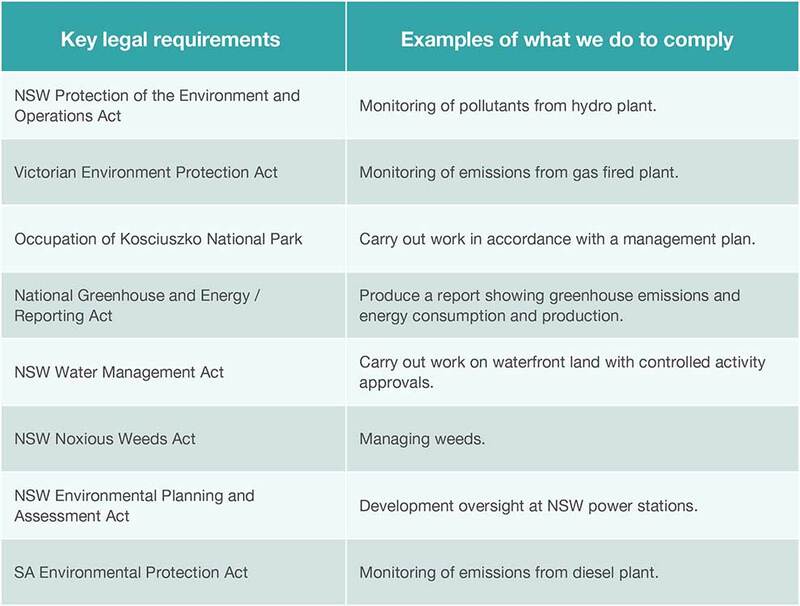 To deliver on our environmental commitment Snowy Hydro has developed and implemented a rigorous framework to manage day to day activities. An Environmental Management System (EMS) has been in place at Snowy Hydro since June 2000 and independently certified to the ISO14001 Standard since then. 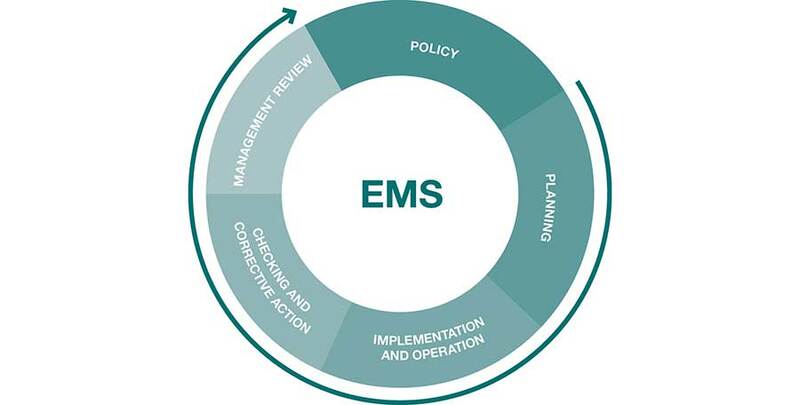 The EMS provides a way of setting standards for performance, identifying risks, managing impacts and allocating responsibility for actions. It makes every individual in the business a party to achieving our commitment. While our commitment to avoid harm is based on a belief that this is worthwhile for environmental, social and commercial reasons, Snowy Hydro is also driven to perform by its legal obligations. We treat these legal obligations as minimum standards. Every employee has a personal accountability to make sure they understand and comply with legal obligations and minimise our impact on the environment when we are at work. Snowy Hydro has put in place an incident management system to manage unplanned events and learn from them. The critical elements of incident management include early communication, classification of seriousness, thorough investigation and effective implementation of actions to ensure that any harm is corrected and lessons are learnt with a view to preventing future incidents.